PKC is an active partner designing and manufacturing cost-efficient and reliable solutions for vehicle electronics to fulfill the customer´s needs. Strong expertise on wiring systems, electronics products and automotive requirements are PKC´s key strengths. 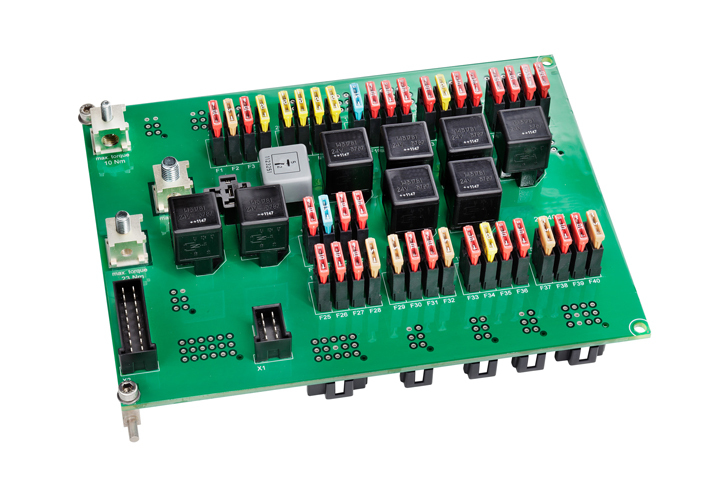 Electronics have a significant role in vehicle components and systems. PKC has long experience in developing and manufacturing high current and power electronics systems to industrial and telecommunication industries. In order to offer benefits to customers we have transferred the expertise gained from these projects to the area of vehicle electronics. DC/DC converters, battery management systems and power distribution centers are examples of the product areas where PKC is working hand in hand with customers developing optimized customer specific solutions. These electronics devices are tailor-made to meet the individual needs of a customer but utilizing the standard solutions when possible. PKC manufacturing processes, product development and project management processes are certified according to automotive industry´s ISO/TS 16949 quality standards. Our experts will support you in all technical questions - right from the first ideas to serial production. PKC engineering capabilities cover schematic and layout designs and also mechanics design of customized plastic casings, sheet metal busbars and aluminum heat sinks. As a solution provider we do not only design, test and validate the products but also do a thorough manufacturability optimization and produce the parts according to the automotive standards in-house.